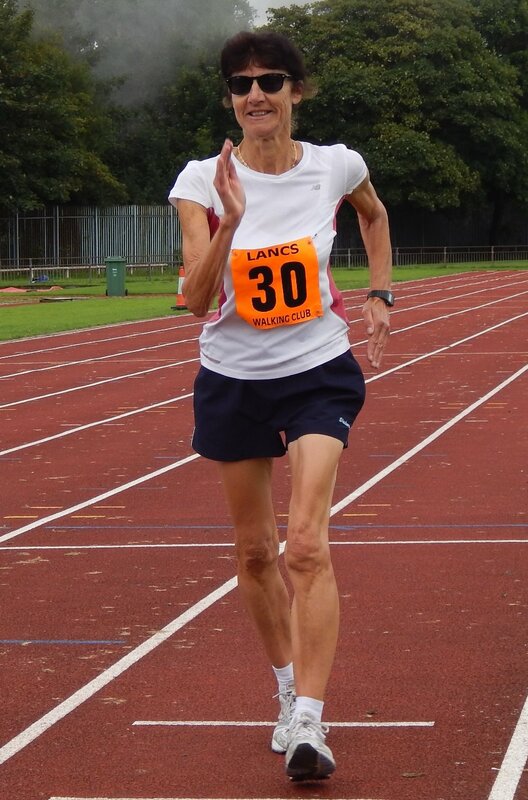 The Lambert Trophy One hour Challenge race held at Bury’s Athletic Track on 29th July 2017. There was an excellent turn out of 20 walkers for this race (15 men and 5 women). It was therefore great that we also had a good turnout of helpers to enable the lap counting and other duties associated with a track one hour challenge. All the walkers were very grateful for their support. The weather was warm (18C) with overcast skies. Adrian Edwards took an early lead and powered his way to win the Lambert Trophy with a distance almost a half a mile ahead of second place man Tony Bell. Irene Pike put in a strong performance to win the Ladies one hour challenge. Ahead of the race, all competitors tried out 2 laps of the 650 metres outside track circuit to see if it was suitable as a future race course – the consensus view was that it is. This entry was posted in News, Results and tagged Bury, Irene Pike, Lambert Trophy. Bookmark the permalink.